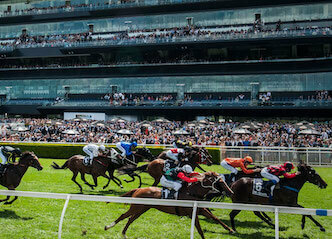 As the weather warms up, every whiff of freshly cut grass brings us a step closer the jewel in Sydney’s crown: the racing season. Race tracks transform into an exploded pinata of colour, with headbands and hemlines to test your wildest imagination. Oh, and there are usually some horses running around too. Fashion, punting drinking and socialising – whether you’re a horse enthusiast or not, there is something for everyone at Race day. You’ll be swizzling champagne all day long, while you place a few bets and check out the fine fillys (Don’t forget to check out the horses too). Wicked Bucks has everything from transport to private waitresses sorted – all you need to do is pack your best tuxedo and get ready for some trackside fun. Get in touch with our party planning specialists for a suitable bucks activity package. There’s a range of Race Day packages to choose from. The big city courses have it all – the top horses, the pinch-me-are-they-real girls, and top notch facilities. Country Racing is just as impressive, though slightly more relaxed. Whichever option you select, there will be no long faces. These shindigs are known for their rowdy atmosphere, so there’ll be no need to rein in your inner party animal. Organising a Bucks Party means you’re saddle with a ton of responsibility. 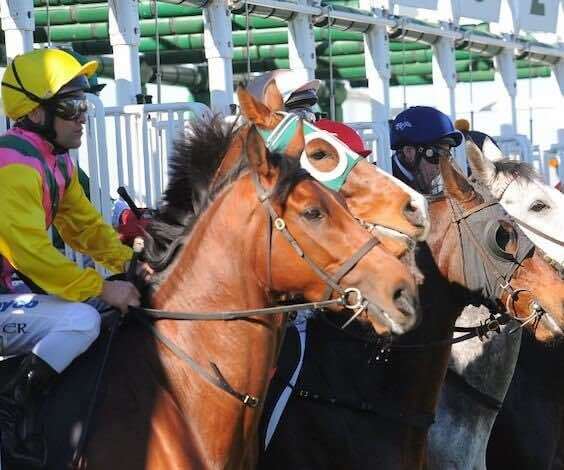 Wicked Bucks has done the hard yards so you can kick back, relax and enjoy the races. Wicked Bucks isn’t into horsing around. Our Race Days have something for everyone. Whether you’re a horse-nerd or a fashionista, saddle up and get ready for a day to remember. Sydney is renowned for producing balmy days all year around. There is no better way to enjoy the temperate climate than with a day trackside. Visitors to Sydney are spoiled with golden beaches, impressive architecture, beautiful bushland and a diverse food culture. Working out where to start can be an overwhelming task. That’s where Wicked Bucks comes in. We’ve done the hard yards to plan the ultimate experience for you, so that you can kick back in Sydney and live your best life. With more than 12,368 km² to explore, Australia’s biggest city literally has something for everyone. Catching the Manly Ferry from Circular Quay to the beachside suburb is a rite of passage for anyone visiting the city. After you’ve taken enough harbour-view snaps to fill your instagram for the next year, Sydney offers every activity your inner adrenaline junkie could dream of. Between jet boating, indoor bubble soccer and axe throwing, you’ll be screaming for more. For the night-owls out there, this East Coast Hub also has the cheekiest party scene on offer. Choose from a Boat party cruise, high rollers poker tournament, whisky tasting tasting tour or just a night out in the infamous Kings Cross. However you choose to spend your time here, after a Wicked Bucks Party in Sydney, your soon-to-be-marriage won’t be the only love affair in your life. Sydney is a keeper.